Whenever I write I use my given name - Judith Frey. But as an artist (and friend) I am just plain Jax. 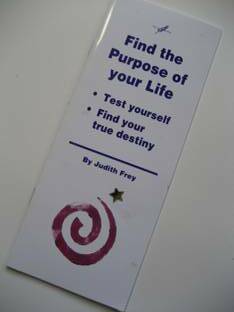 Here are the writings of Judith (Jax) Frey, Life Coach, Artist and Author. 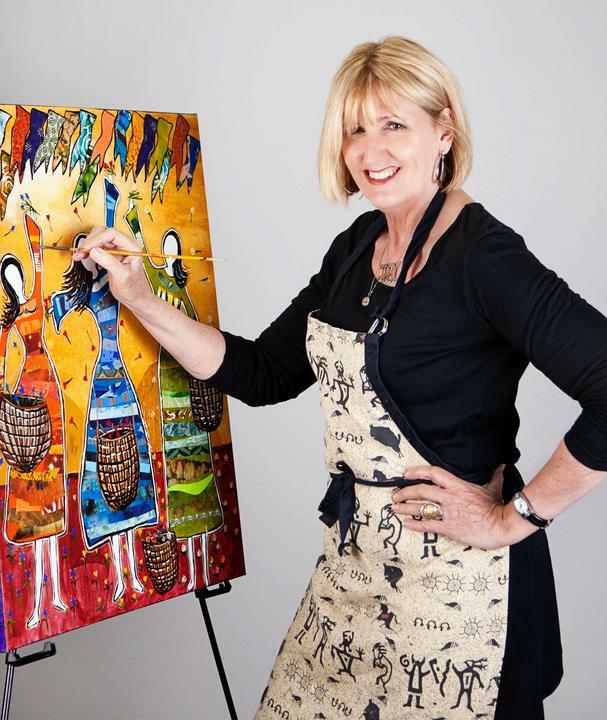 Extraordinary Living by Personal Spiritual Life Coach, Judith Frey. You can’t do anything well in this life without a plan. That’s a simple, basic fact. You wouldn't consider taking on a new project at work or even doing something as simple as going out to dinner without some sort of plan in mind. Why is it, then, that people stumble through heir lives, living day-to-day, without a basic life plan? These same people have the best of intentions and numerous, wonderful dreams, yet they have no plan to make them happen. Therefore, many dreams fall by the wayside and remain only that - vacant dreams. Please, believe me when I say that this does NOT have to happen to you! Wouldn’t it make sense for you to plan for the life you have always wanted and were meant to have? What could possibly be more important? How much more successful, happy, and satisfied would you be if you actually got to live the life you dream so much about? But when and where do you start? The answer is: Right here and right now! With the One Life Plan© you will begin to claim the abundant rewards that await you in this life. You can begin to be happier, more successful and satisfied from 'Day One' with this program. Isn’t it about time you took some control over your own happiness? * You will begin to clean up the mess in your life – and make room for success! * You will determine what the most important things to you in your life. * You will learn to attract what you need to your life and career without struggling. * You will learn critical things that you never knew about yourself – i.e. your greatest strengths. * You will learn what it is that you should be doing with your life right now! * You will start to realize your life’s grandest, most wonderful dreams and goals! * You will develop your own personal strategy for success. * You will learn to develop a support community that will help tremendously with your success. * You will learn how to focus each day into a personal paradise. You will learn to be happy! You deserve the best life you can possibly imagine - and now you can actually plan on it! Don’t leave your life to accidents and don’t waste another day. You do, after all, only get one life. The One Life Plan© is for you if you are committed to achieving an extraordinary quality of life. Retail price: $59.99 plus tax and s/h. Ordering information on books below. The Dalai Lama said. "The purpose of life is to be happy." How are you going to accomplish that? What are you supposed to be doing with your life? How can you be successul and joyful? * Go after your Biggest, wildest, most wonderful dreams. * Treasure and magnify your physical, mental and spiritual health. * Eliminate what you are tolerating in your life. * Attract what you need to make your life prosperous and rich. * Rid your life of loneliness. * Deal with your money issues once and for all. Judith Frey is a professional and personal life coach who teaches the art of how to form ordinary existences into rich, fulfilling, happy lives. There is little time in this life and none for living a poor, starved existence. It appears that NOW is your time for a change. Retail price - $13.99 plus tax and s/h. Ordering information on books below. “It is never too late to be what we might have been” - George Elliot. With this booklet, you will give yourself a great gift – the gift of self-knowledge and the surety that there is, indeed, a purpose for your life. Use this 16-page test to discover who you are and wherein lies your destiny. Learn your life values, who or what you are supposed to impact in this world, and the actions you need to take in order to fulfill your destiny. You will learn these crucial characteristics and then develop your own personal mission statement to help guide and motivate you throughout your life. There is a lesson in this small booklet that will stay with you for the rest of your life. Retail: Life purpose Coaching for only $4.99 plus shipping. Ordering information below. Order your Personal Life Coaching Books today! *Add 9.85% sales tax in LA only. Credit cards accepted. Call me for intormation. Be sure to include shipping and the appropriate tax in with your total.